Jayded Dreaming Beauty Blog : SEPHORA 15% OFF DISCOUNT CODES - LET'S GET SHOPPING! SEPHORA 15% OFF DISCOUNT CODES - LET'S GET SHOPPING! Sephora is offering all beauty members 15% off your entire purchase (in store and online) and it can be used multiple times! Please see below for the specific dates and codes pertaining to your particular beauty level. If you are a BI (Beauty Insider) then starting April 4th use code: TICKET at checkout to receive 15% off your entire purchase. The multi-use code will be good until April 10th. 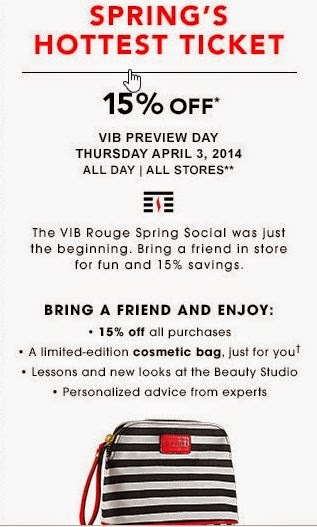 If you are a VIB (Very Important Beauty) then starting April 3rd use code: VIBTICKET at checkout to receive 15% off your entire purchase. The multi-use code will be good until April 11th. 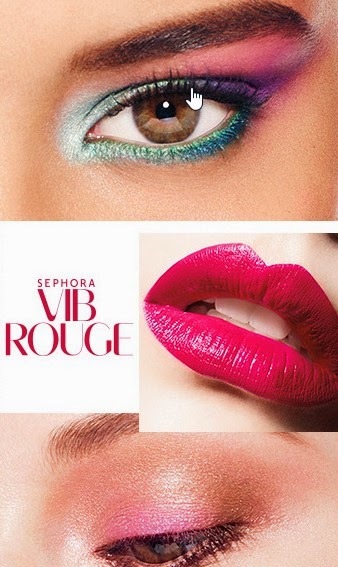 If you are a VIB Rouge (Very Important Beauty Rouge) then starting Mar 30th use code: ROUGETICKET at checkout to receive 15% off your entire purchase. The multi-use code will be good until April 11th.